It appears this weekend's punching bag was Spectre, though I think the critics are overly harsh. Sure, it proved to be no Skyfall, but it is still the second-highest grossing Bond opening of all time, and that's saying a lot considering there have been 24 in 50 years. Quantum of Solace, $67.5 million. Worldwide, it's already surpassed $300 million, and will likely hit $1 billion before all is said and done. Heck, it's only been in the market for two weeks internationally and hasn't even opened in China yet, one of the franchise's most faithful arenas. When Skyfall opened, it had zero competition at the box office. Spectre did particularly well, then, having lost a portion of its potential oomph to Peanuts, which siphoned more than $40 million from families and females. 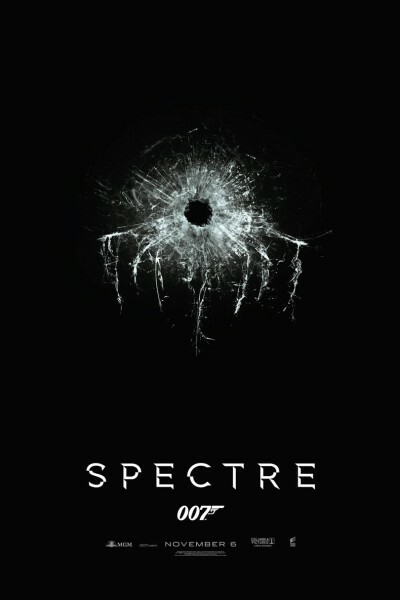 I anticipate Spectre will be huge worldwide, and more than fine in the long run. Meanwhile, Daniel Craig is off to have reconstructive surgery on his knee, having torn his ACL in the fight sequence that unfolded through four train cars. During the next six months, he will empty his mind, body and soul of Bond, and I suspect the next time he's asked whether he intends to return, his answer will be in the affirmative. He intimated as much with Sam Mendes at Charlie Rose's therapy table last week, and I can sense that he will want to go out with a bigger bang, like Bruce Wayne. As for Spectre itself, I thought the opening sequence in Mexico City, complete with 8,000 costumed extras, was an extraordinary achievement. The resulting helicopter scene was a bit tedious, and Dave Bautista was so underutilized and nondescript as some Oddjob character that he could have worn a stocking over his head and been more effective. Christoph Waltz, enunciator extraordinaire, was given too little with which to work and, with the exception of a dramatic boardroom moment and "cuckoo," floundered in his velvet slippers and failed to create any anxiety or tension whatsoever. He enraptured and spooked me fully in Inglorious Basterds, but that actor was nowhere to be found in Spectre. On the bright side, I so appreciate that Mendes used film, not digital, because the warmth and tone that comes through, particularly during daylight scenes, is cinematically glorious instead of harsh. Visually, Spectre is a feast for the eyes, though not as beautiful had del Toro done it. I hypothesize that Skyfall was so remarkable, in part, because Bond is—throughout it—one step behind and treading water as fast as he can, lest he drown before our very eyes. The stakes are real, as are the casualties. Having finally caught up with and accepted this interpretation of Bond, first introduced by Craig in Casino Royale, we, as viewers, had begrudgingly relinquished our "Bond as camp" trading cards, embracing this "Bond as flawed and more than a little bit tormented." Though Casino Royale received harsh criticism, time has proven that Bond needed to evolve. To see Spectre, then, we experience Bond—once again—somewhat cocky and self-assured, a step ahead of his colleagues (though admittedly equipped with scant gadgetry and failing to imbibe wine, women and song in the same ways that, say, Sean Connery or Roger Moore always did). This partially progressive yet regressive incarnation (for Bond, at least) requires more than just a little mental reconciliation, leaving one to wonder, "Is he in command, or is he not; is he moving forward, or is he not; is this a return to the Bond of old, or are we remaining firmly in Jason Bourne territory?" Either pole is entirely fine ('Her Majesty's Man' or 'Rogue Misfit'), our having seen both executed with equal success in fifty years, but a messy middle ground is hard to conceive, harder to embrace, and impossible to sustain, so Spectre strikes me therefore as an interim film, a segue, a pivot, a waypoint, a set-up, a bridge from Skyfall to whatever follows, his fifth Bond film almost certainly proving to be Craig's final outing before he returns to open-ended roles like Road to Perdition or embraces directing or producing in earnest. As is often the the case, only time will tell and I, for one, shall be very torn about the answer. On the one hand, it would be intriguing to believe that Bond-as-pacifist has truly found inner peace and might continue his gentle ride into the sunset as a monk, but no enduring character (and surely not one like Bond) survives without inherent conflict. Knowing this, I predict a much darker ending in Craig's final portrayal, a la Skyfall but even more personal, after which, perhaps by necessity, we will finally and fully be primed and ready to embrace his successor, a phoenix rising from the ashes, whomever he or she might be.